Byron Shire Council has released the Draft Masterplan for the Byron Bay Town Centre for public comment. Draft Byron Bay Town Centre Masterplan was developed by the council and urban design group McGregor Coxall. The process, which included using "lego pieces to consider alternative ways for the built-form to be imagined and considered" has been underway since 2014. 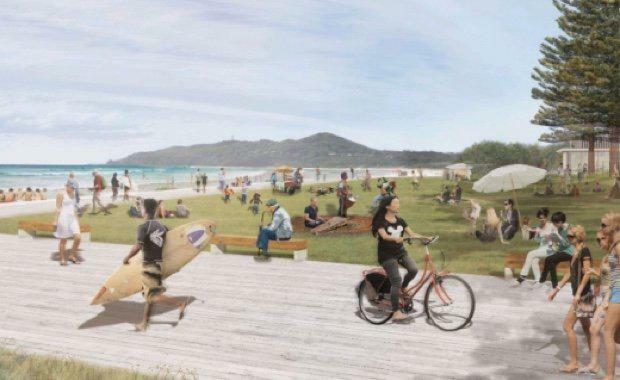 "The Masterplan site area is large - it is complex, it requires us to respond differently, think differently and react differently - in effect it is a true reflection of the very nature of Byron - the individuality of Byron Bay itself," the Council said. "Therefore the Draft Masterplan has been prepared in response to these complex challenges and has explored possible ways to enhance and unlock the full and future potential of the town centre and maintain the spirit of the local community." Council said the masterplan was a "visionary document" that provided a high level framework for future decision making within the town centre. "It is a holistic plan that considers the next 20 years, with the current and future needs of the local community front and centre in the development process." Byron Shire Mayor, Cr Simon Richardson said: “I am very proud of the work that the Community, working together with Council has undertaken in preparing the Draft Masterplan - it has been a comprehensive process and we have all learnt a lot." "I have heard first hand the passion that the community has for Byron Bay Town Centre and we believe that some of the short term aspirations will see us take and create some important first steps. "The Draft Masterplan once adopted will provide Council with a high-level blueprint for the way we continue to see the town centre evolve.